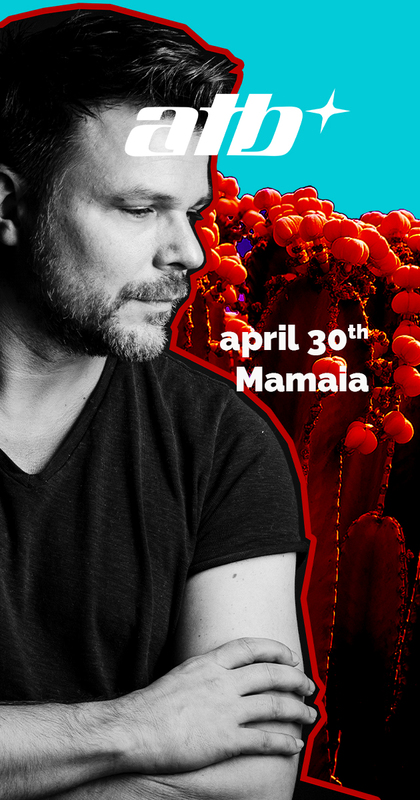 Tuesday, 30th of April, we are happy to announce that our special guest: ATB will perform live in Fratelli Beach & Club Mamaia! ATB is a German DJ, musician, and producer of electronic dance music. In 2011, he was ranked as world number 1 according to “The DJ List”. He is best known for his 1999 single “9 PM (Till I Come)” which was a number one single in the United Kingdom and afterwards in many other countries all over the world. Since his breakthrough two decades ago, ATB has released nine albums, five of which came in double album format. His most recent album Contact entered the German charts at #5.